This was originally posted at SBC Voices. If you want to get fired up about how a local church can develop a culture of sending its members on mission, go read the Gospel Coalition's profile of Summit Church. Titled How One Baptist Church Has Seven Times More Missionaries Than Anyone Else, Sarah Zylstra details the history of Summit: From a church plant, to quickly growing, to plateaued & declining, and then to revitalization and exponential growth, the focus isn't on the numbers attending the church but the pipeline of leaders and workers going out to take the gospel to the ends of the earth. In the 17 years since the church called J.D. Greear as senior pastor, the church has been on an amazing journey. Middle school students encouraged to do a short-term, domestic mission trip with their families. Early high school students encouraged to go on a mission trip "somewhere in the Americas". About 10% of their high school seniors will spend 3 weeks living overseas with missionaries. College students asked to give one full summer to missions. Summit has planted 40 churches in the U.S. and over 200 overseas whose combined attendance (10,171) now eclipses Summit's own attendance (9,973). The number of IMB missionaries serving from Summit is 7 times higher than the next-highest SBC church. Summit spends 17% of its budget on missions. Every month they commission the next group being sent. Every month. Services end with pastors giving the charge: "Summit, You are sent." Make sure to head over to The Gospel Coalition's website and read about the work that God's doing in the Raleigh/Durham area and across the world through Summit. This article was originally posted at SBC Voices. Felix Cabrera, Pastor of Iglesia Bautista Central in Oklahoma City, will be nominated for SBC Second Vice President. The initial announcement came Friday afternoon through Baptist Press. Pastor Ed Litton (Redemption Church, Mobile, Alabama) will nominate Cabrera at the Annual Meeting in Dallas, June 12-13. I was really excited to hear that Felix would be nominated. I started hearing his name about a year and half ago in relation to the success of his church plant and leadership among Hispanic SBC pastors. He sets an example all of us would do well to follow. Dr. A. B. Vines will be nominated for First Vice President this year. Seeing the leadership of these two men recognized and celebrated through their respective VP nominations is a day we as Southern Baptists should be grateful for. This article was originally published at SBC Voices. Baptist Press just reported that Dr. Johnny Hunt will nominate Dr. A. B. Vines for SBC First Vice President this summer at the Annual Meeting in Dallas. Vines is pastor of New Seasons Church in San Diego, President of the California Southern Baptist Convention, and is a recent past president of the National African American Fellowship of the SBC. You'll see all those details and more in the BP article. The announcement notes the extensive missions work of New Seasons Church, Cooperative Program and Great Commission Giving, "community clothing and feeding ministries, at least two church plants, missions in Africa, and a school in the Philippines." Also notable is the multi-ethnic nature of New Seasons Church, which across five campuses includes an Arabic-speaking campus and Spanish-speaking campus. But I'm just repeating what you can read for yourself at BP. I've not met Dr. Vines personally but I've heard in the last hour from a few different friends who know Vines and have worked with him. They are thrilled to see him nominated and speak very highly of him. I'm really thankful for Dr. Vines' past leadership in various convention roles and his willingness to be nominated, as well as for Johnny Hunt's desire to nominate him as a leader who will be a blessing for Southern Baptists at this important time. We all agree that white supremacy is abhorrent and evil, whether KKK, neo-nazi, alt-right or other. We all agree that leftist groups were there to escalate and incite violent conflicts, which is also wrong and evil. We all agree that protests of any kind should be peaceful. We all believe in the right to free speech, even when disgusting things are being said. We all are grieved by the terrorist attack by the white supremacist who used his car to drive into a crowd of people. We all mourn the death of Heather Heyer and pray for others who were injured in the attack. We all wish the country wasn’t so polarized right now. So if we agree on all those things, why are we so divided? It seems like the major dividing point in the conversations I hear and read has to do with how we talk about the situation. One group emphasizes condemnation of white supremacy. The other emphasizes the need to condemn all the extremist groups involved (usually stated as to include Antifa and Black Lives Matter). Will we condemn the KKK without qualification or must we also include all groups involved in the Charlottesville protests? I’ve literally been angry at people, just yesterday, who have refused to condemn white supremacists without mentioning other groups along with them. Why should something that could be seen as a subtle nuance cause such a rift among people who agree on so much? I’ve tried to trace it out and here’s what I’ve come up with. My hope is that it will help bridge the divide and promote understanding between the two viewpoints I’m describing. View #1: White supremacy is evil and Christians should speak out clearly & mainly against it. View #2: Right wing and left wing groups both caused problems and should both be condemned. The difference between the two stems from how we answer this question: What is the most pressing and urgent problem in the Charlottesville situation? If people believe, as I do, that the most serious problem in Charlottesville was the presence of an emboldened white supremacist movement, then your primary reaction is going to be view #1. You’re going to want to speak out clearly and unequivocally against white supremacy. If people believe that the biggest problem in Charlottesville was that the protests turned violent and you’re looking to place blame for that - then #2 is likely your response. And there may be a legitimate argument that the leftist groups were equally instigating violence and that both sides were at fault, at least until the car attack made all the other violence look minor. So the difference between us actually begins much sooner. Not just which groups we should condemn, but what is it in the Charlottesville situation that needs to be confronted? And I believe if we look at it through this lens, I can try to understand better why some want to talk about all groups and hopefully others can understand why I think that primarily addressing white supremacy alone is the better path. Which Approach Should We Take? In deciding between the two viewpoints, and in advocacy of my own view, I would first point out that everyone agrees that peaceful protests should be conducted without resorting to violence. That goes for all locations, all groups, and all causes. There’s nothing unusual about Charlottesville in that respect. We feel about Charlottesville the same way we did about Ferguson and Baltimore. We might disagree about the how legitimate the complaints were in any of these instances, but we all hated to see them turn violent and we all condemned the violence. The fact that there was violence between the protesting groups isn’t mainly what brought this Charlottesville event to national prominence (again, at least until the car terrorist attack). The most significant aspect of this event is that it was an open, national gathering of white supremacists who feel emboldened to come out of the shadows, show their faces, and march chanting old Nazi-era slogans. This is the shocking facet of what happened on that Friday night. This is what makes me wonder what minority believers must be thinking and feeling — and how I can unite with them in responding to this. This is what makes me determined to speak up. The main problem was this KKK/alt-right march in the first place — and that’s not the fault of Antifa or BLM or anyone else. I believe there are objective and subjective reasons to consider the white supremacist aspect of Charlottesville the part that needs to be urgently addressed. There would have been no event, no conflict, no violence, no death of Heather Heyer, no police officers killed in a helicopter crash if this event had not taken place in the first place. The white supremacists came armed with weapons, ready to be violent and kill if the opportunity arose. They've stated since then that they believe in their future rallies more people will die. The terrorist attack with the car was perpetrated by a white supremacist and later defended by leaders of the white supremacist group. A white supremacist rally in and of itself is meant to intimidate and terrorize the public, particularly minorities, but also anyone who would stand up against their white supremacist vision. Standing with minorities in our culture means we take seriously their perspective. Do you think very many non-white people look at Charlottesville and think the main problem was that the different groups got angry and violent with each other? Undoubtedly the public perception about Charlottesville is that the white supremacist element was the most notable. The photos of young, angry white men carrying Walmart tiki torches (seriously?) will be seared into the national consciousness for years to come. Can we not speak clearly to that without diluting what the world ought to hear the church saying? This isn't a time for anti-PC warriors to try and score points against leftist groups. That's an exercise in missing the point. This is a time for Christians to keep the main problem in view and speak clearly, without equivocation or qualification, about the evil of white supremacy. Bruce Ashford has written an incredibly helpful 4-part series on the alt-right movement and how evangelicals should respond to it. Not only is this worth your time for reading and your own understanding, but many church members will likely have questions about Resolution 10 and what the SBC meant when it passed a resolution condemning the alt-right movement. This is don't-miss material. I mainly post this here to make you aware of this excellent resource. I plan on making it available to our church members when we give a #SBC17 overview to our church. Last week the news broke that H. B. Charles would be nominated for President of the 2018 SBC Pastors' Conference. It was big news and widely welcomed in news and social media. Brad Graves, who had previously been announced as a nominee withdrew his name from consideration in support of Charles' nomination, which made a noteworthy announcement even more significant. Today H. B. Charles posted at his blog an article titled "My Nomination for SBC Pastors’ Conference President" where he gives some personal reflections about his nomination. The post is well worth reading for several reasons - two of which I want to highlight here that I find hugely encouraging. If elected, I will give my best effort to plan a conference that will encourage pastors, model biblical preaching, and promote the Great Commission. We know that H. B. Charles is highly regarded for his biblical preaching - and that's exactly what we want to see at the 2018 Pastors' Conference. You might remember the 2017 PC President got the ball rolling on his nomination by asking the question "Why Not Focus on Biblical Preaching at the Pastors Conference?" This is a theme that resonates deeply with me and with the team who has been involved with the 2017 PC. We would love to see it become an expectation that future SBC Pastors' Conferences will feature expository, text-driven preaching as the norm. As I contemplate this opportunity, I cast my eyes toward the work for this year’s conference. Before coming to Jacksonville eight years ago, it was my joy to serve a smaller congregation in Los Angeles for almost eighteen years. I pray this year’s conference will be uplifting for one and all. And I pray the Lord will grant me wisdom to consider the spirit of this year’s conference, as he leads me regarding next year’s theme, program, and speakers. When Dave set out to implement his vision for 2017, we planned that it would be a one-time event. None of our group is interested in running or being as involved as we have been this year. It's a lot of time and work. We've loved doing it, but at this point it feels like we're nearing the end of a marathon – the finish line is ahead and it means what its title implies. We didn't expect another conference to be exclusively preachers from average-sized churches. We didn't expect that every PC in the future would preach through a book (though we hope this years' will show the value and possibility and that we will see the approach again). But we did hope that some of the themes that we've desired and promoted would be given heavy consideration in the future. Dave's vision resonated with enough people in St. Louis to win that election, which surprised many at the time. But it showed there is a desire for a Pastors' Conference that aims for biblical expository preaching and values SBC churches of all sizes. So it's a joy for H. B. Charles to say he plans to "consider the spirit" of the 2017 PC as he plans for Dallas. It's not customary for the current Pastors' Conference to comment on an upcoming nomination and probably isn't appropriate for it to do so. So I don't speak for the Pastors' Conference or leadership team in any official capacity. But personally, I'm glad to tell you I plan to enthusiastically support H. B. Charles for Pastors' Conference President. I'd be glad for you to join me and many others who are already planning to do the same. Yesterday William Thornton wrote about The Bizzare Cases of Strangers Speaking at Funerals. William recommended against "the growing trend of an informal, almost ad hoc service where various family members and friends may speak as well as the minister or ministers". The article had a number of points about funerals that I would affirm as good advice - like making sure the gospel is clearly presented, and making sure you learn about the life of the deceased and include that in your message. I thought it was worth some gentle pushback on the open mic time, however. I would estimate about half of the funerals I do have included a time of inviting anyone present to speak. I've never had a bad experience or a funeral go wrong because of including that element. The vast majority of time I've found it to be an very encouraging and memorable time for the family. When I sit down with a family to plan a funeral, I take a sample service order that includes several optional elements at the bottom. I let the family know they are welcome to include any of those they prefer, and one of those options is an open mic time for family and friends. 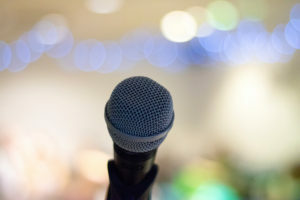 I allow them to choose if the mic will be completely open to anyone present or if they would like to pre-select a certain number of family and friends who will speak (that's not technically an open mic time, but it's close in the way it practically works out). I haven't gone back and counted, but I would guess half or more of the services I've done, the family has asked to include that optional element. I think it's more common now for families to include that than it was 9 years ago when I started pastoring, but that's just my sense. I believe one of the reasons it's worked well in services I've done is that it's planned well and we have an emergency exit plan. First, I ask the family during our planning meeting if they have a couple family members who will want to speak, to at least one of them to be ready to go first. That avoids a long, awkward wait in a "who's going to go first?" holding pattern. So ahead of time, I normally already know of two or three people who are planning to speak. Second, near the beginning of the service, I let people know there will be "a time later for anyone who would like to share some thoughts about..." That way people have a few minutes to get their thoughts together. Third, I introduce the time with some specific instructions (I almost have this part memorized): "We ask that you keep your comments relatively brief so that plenty of people will have an opportunity to speak and, of course, make sure whatever you decide to share is appropriate for this occasion." This gives me an emergency exit plan. If someone were to go on too long, or if someone were to branch off in an area that's inappropriate or uncomfortable, I am ready and willing to intervene with a firm but kind, "Thank you sister Margaret, let's make sure others have an opportunity to speak." I've never had to do that, but I'm always ready and let the family know ahead of time if it goes off the rails I'm prepared to handle the situation. Allow there to be some silence between speakers without feeling awkward. This adds to the authenticity of the moment. Some family members will cry while they speak. Let them know ahead of time people will understand and will appreciate their desire to speak at such a difficult time. After enough people have spoken, close down the time and thank everyone who spoke for their words. So having the open mic time gives an informal outlet to those who want to participate but don't need to be a part of the formal service structure. It allows a meaningful and encouraging time for the family. It provides a natural and comfortable time for people to talk and express their grief in a way that honors their loved one. There is an informality to the time that I usually sense to be a welcome relief of tension in the funeral service. It helps me before I preach to hear about the life of the one I'm about to speak about. I consider my job in leading a funeral to have two main goals: (1) honor the memory of the person who's gone and (2) preach Jesus and his gospel. Open mic time has never once detracted from either of those goals. This article originally posted at SBC Voices. David Roach at Baptist Press reported this evening that Byron Day released an open letter calling for reconciliation between Russell Moore and his critics (Article: NAAF pres. urges 'reconciliation' among Moore, critics). Day is the pastor of Emmanuel Baptist Church in Laurel, Maryland and current President of the National African American Fellowship of the Southern Baptist Convention, a network of over 4,000 "predominately African American pastors and churches affiliated with" the SBC. Recent past presidents of the NAAF include K. Marshall Williams, Sr., and Dr. A. B. Vines, Sr. The letter is first a call for unity. Of five paragraphs the letter contains, four stress the desire for unity. Day says the current controversy is damaging to our gospel witness and distracting from our mission. The fourth paragraph, which is clearly meant to play a supporting role in the letter, does offer a strong statement of appreciation & support for Russell Moore continuing to lead the ERLC. This seems especially notable after Dwight McKissic's widely shared post on Monday in support of Russell Moore. McKissic stressed how Moore is held in high esteem by the vast majority of black Southern Baptists. Day's open letter further substantiates McKissic's claims in that area. Excerpts from the section in support of Dr. Moore follow: "Russell Moore has done nothing worthy of discipline or firing. He... has been outstanding as president of the ERLC... he has also addressed social injustices such as racism which have been long overlooked." This is high praise from an influential voice in the SBC. Those sections are important, but please don't overlook the supporting role they play in calling the convention to unity. Four of five paragraphs stress unity, reminding us to let political differences take a back seat, requesting private meetings to reconcile (Jack Graham confirmed in Tuesday's Q&A that meetings of that nature had taken place but did not say how much progress had been made. ), and other calls for us to put this controversy behind us. Letter text is reprinted below. The recent events surrounding ERLC President Russell Moore is dividing Southern Baptists and, more importantly, is hurting the name of Jesus Christ and the furtherance of the Gospel. The recent election has not only further divided our country, but it seems that political views threaten to divide our Convention, not over major theological doctrine but over practical or political preferences. Truth be told, our Lord is neither Republican nor Democrat; He is Lord of all. The name of Christ is far too valuable and the preaching of the Gospel to the whole world too important that we should allow political disagreements to distract us from that which is most significant. The commands of our God and Savior Jesus Christ to love one another as He loves us outweigh any personal political views. This is how we show the world that our faith is genuine. To be sure, feathers have been ruffled on both sides; but obedience to the Bible's teaching can surely offer a solution so that we can get back to working together to share the good news of God's love, forgiveness, and gift of eternal life. What would happen if those offended by Dr. Moore were to take a biblical approach and talk to him privately concerning comments that offended them and then give him opportunity to apologize and be reconciled, to the glory of Christ? What would happen if Dr. Moore would receive their calls and agree to meet with them and experience reconciliation, to the glory of God? What would happen if Dr. Moore, upon learning that his brother has something against him, would leave his offering at the altar, seek him out, and be reconciled to his brother, to the glory of Christ? Would not God be glorified and Southern Baptists be better served? There are some who have suggested withholding cooperative dollars until Dr. Moore is either disciplined or fired. However, Russell Moore has done nothing worthy of discipline or firing. He has not violated The Baptist Faith and Message and, in fact, has been outstanding as president of the ERLC. He has represented all Southern Baptists, contending for the highly visible ethical issues of abortion and biblical marriage; but he has also addressed social injustices such as racism which have been long overlooked. 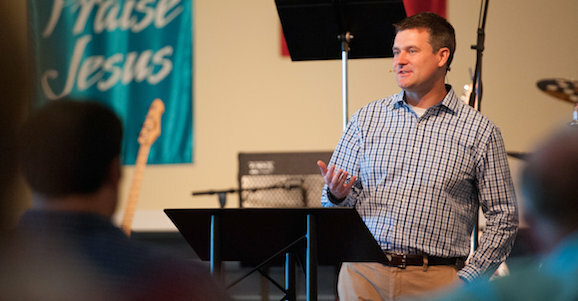 Southern Baptist have been uniquely gifted and called to have a great impact for the Kingdom of God. We must not be ignorant of the schemes of the enemy to divide us. Now is not the time for division but unity and we must be diligent to preserve the unity we have in Christ. Perhaps we should all take a step back and consider what would most honor Christ. The name of Jesus is too valuable and the preaching of the Gospel to the world too important to do otherwise. This article originally appeared at SBC Voices. This is the text of the open letter to Jack Graham by six NOBTS students. The letter was first delivered to Graham during this morning's visit to the NOBTS campus. It was released at their website, iheartcpblog.wordpress.com and they offer the option to add your name to the document. Graham preached chapel today at NOBTS and the students made "I Heart CP" t-shirts and asked questions during a forum time requested by Graham. We've covered some of the details as Titus Terrebonne and Devin Haun have written about the situation & their concerns. I'm thankful for this letter as it's gracious, measured, but pointed about some of the problems they and others have seen with Prestonwood's actions. The full text is below. The following document is our open letter to Pastor Jack Graham and Prestonwood Baptist Church. Before anyone reads the letter we want everyone to know how thankful we are for Dr. Graham. We are thankful that he preached in our chapel today and we are thankful that he took the time to answer some of our questions. We hope that this letter communicates our position clearly and concisely. The drafting of this letter has been a labor of love and it is something that we have constantly prayed over. We hope that our tone is gracious and that everyone who reads this understands that we are writing this in love and not hate. Thank you again Dr. Graham. We hope to get your feedback on our letter to you. We also hope to send letters to people on the other side of some of these issues. We look forward to partnering with Dr. Graham and Prestonwood Baptist Church in the future. We, the undersigned students of New Orleans Baptist Theological Seminary, would like to express our concern with respect to the recent decision made by Prestonwood Baptist Church to escrow their Cooperative Program (CP) contributions. Prestonwood Baptist Church has done so in order to express their displeasure with various Southern Baptist Convention (SBC) entities. As students who attend an SBC Seminary and worship and serve in SBC churches, we recognize that the CP is the lifeblood of our convention and a crucial element of our Southern Baptist identity. The CP sets us apart from all other evangelical denominations, allowing us to operate one of the largest mission-sending agencies in the world. As members of SBC churches, we feel a deep sense of unity toward all who consider themselves Southern Baptists, including Prestonwood Baptist Church. We appreciate Pastor Jack Graham, and the members of Prestonwood Baptist Church in all the ways God has used this local body to further His Kingdom. We are grateful for and honor the leadership of Pastor Jack Graham throughout his decades of service within the SBC, including the mentorship that he has provided for countless pastors during his years of faithful service. We rejoice in God’s work through Pastor Jack Graham and Prestonwood Baptist Church manifested in numerous baptisms, church plants, and support given to the CP. Because of these acts of service considered, we do not question the dedication of Prestonwood Baptist Church or Pastor Jack Graham to the Kingdom of God, the Great Commission, or the SBC. Church autonomy should not hinder the unity we have within our denomination. Church autonomy is paramount in Baptist life. We want to publicly affirm Prestonwood Baptist Church’s position as an autonomous body to designate its funds wherever her members decide. We are concerned, however, that withholding CP funds to influence the convention or her entities unnecessarily hurts our gospel effort. Southern Baptists are endowed with two mechanisms to influence the direction of the convention or her entities: The Executive Committee and the Southern Baptist Convention itself. Using these mechanisms does not hinder the gospel, but it still guarantees representation. We desire to encourage Prestonwood Baptist Church to express their concerns through these other channels of communication within the SBC. Speaking through means of church funds circumvents the processes of the convention. The convention is designed to allow a maximum of twelve messengers from each church to be able to represent their local body. This process allows churches large and small to speak their concerns on an equal platform. However, for a church to use its budget as the prominent means to voice their desires gives them undue power within the convention. This manner of maneuvering side-steps the process established by the leadership of the convention and is in danger of turning the convention into an oligarchy of the elite. Smaller churches are at risk of losing their voices. Some may reason that “money talks,” and that these actions are justified if they meet a beneficial end. Aside from this expression not being found in Scripture, such a philosophy is in danger of dwarfing the voices of the smaller churches within the SBC. Being able to speak in the same manner as those who have more resources available to them will be impossible for smaller churches. Considering the fact that nearly 90% of churches within the SBC average 250 members or less in weekly attendance, this should be a grave concern for all within the convention. These actions set a precedent that puts the Cooperative Program at risk. If such a method of escrowing money proves popular, a dangerous precedent will have been set for our denomination. Megachurches may withdraw their funds from the CP when they become disgruntled with the convention, spurring smaller churches to follow suit. Amidst such a climate, more missionaries may have to return home, church plants could close their doors, and young pastors may have to seek their theological training elsewhere, or even withdraw from classes. Above all else, our heart is for the gospel to reach the lost. We believe that Prestonwood Baptist Church and Pastor Jack Graham share this heart with us. Withholding any money from the CP has a direct negative effect on the International Mission Board and the North American Mission Board. The salvation of the lost means more than any number of non-dogmatic arguments. We love the SBC and all of its churches, and do not write this letter out of anger towards Prestonwood Baptist Church, or Pastor Jack Graham. We are writing this letter because we love the CP. We are not Southern Baptists merely because we hold to orthodox beliefs; those beliefs simply make us Christians. We are not Southern Baptists because of doctrinal distinctives; those distinctives simply make us Baptists. We are Southern Baptists because of the CP, and the numerous ministries it supports. We desire, above all else, reconciliation between Prestonwood Baptist Church, Pastor Jack Graham, and the leadership of the Southern Baptist Convention. We hope that churches will join us in recommitting our efforts to further the Kingdom through the Cooperative Program. Pastor Jack Graham and Prestonwood Baptist Church have loyally partnered with the Southern Baptist Convention for many years. We at New Orleans Baptist Theological Seminary look forward to continuing our partnership for many more years to come. We love Pastor Jack Graham. We love Prestonwood Baptist Church. We love the Cooperative Program. At times, Baptists from Texas have been known to cause a ruckus in SBC life. It was about 40 years ago that Paige Patterson and Paul Pressler were forming plans for a revolution in the Southern Baptist Convention. Yesterday, news dropped that a Texas megachurch pastor aims to make serious waves in the SBC - but with a wholly different approach than Pressler and Patterson. Local church stewardship issues—when a church’s leadership feels stewardship demands missions dollars be redirected—can be handled wisely and quietly. I've handled some in the past. Never have I thought it would be productive to publicize reasons we decided to end support for a ministry. There’s a way to redirect missions giving as a church leader that doesn’t end up at a press conference or in a newspaper headline. This is not about an autonomous SBC church choosing to give (or not give) in a different pattern than they used to. This is about taking that decision and using it to pressure and cause people to take your threats and your position more seriously than your voice alone warrants. Please don't miss the fact that Prestonwood could have quietly (or, less desirably, vocally) withheld funding from just the ERLC, which receives a small percentage of total CP giving while continuing to fund IMB, NAMB, our SBC seminaries. Why withhold all CP money and why the press release? Those are only a few of the questions that make this situation so disturbing. Before the election, projection models showed that a popular vote shift of 2 points in either direction moved the electoral outcome drastically. Nate Silver at 538 said that if Clinton won popular vote by 4 points, she would win the electoral college easily. He said if Clinton won by about 2 points the electoral college became a toss up. Think about that. Out of 100 voters, it only takes one or two to change their minds to drastically alter the outcome. This is one reason we should be careful in the election aftermath. The temptation is to look back and think the winning campaign was brilliant and the losing campaign incompetent. Even in the last two days I've heard people talk about how Clinton was such a terrible candidate and Trump called the most talented politician ever. If one or two people in 100 had voted the other way, people would be talking about what a disaster Trump & his campaign were and how brilliantly Clinton brushed off scandals and prevailed. Where it hits home to me is when people now are acting like Trump's win is somehow discrediting to those who took the #NeverTrump stand. Most of us thought Trump would lose and lose badly. That prediction was wrong. Very wrong. But that wasn't the basis of #NeverTrump. I didn't refuse to vote for him because I thought he was going to lose - I didn't vote for him because I thought he was unfit for office. His win doesn't change any of that. If you had told me back in February that a Trump was going to win, it wouldn't have changed my position. I would have said, "If he's going to, he's going to do it without me." And that's exactly what he did. So if you ask me if I feel stupid or like I've been rebuked by the election results, my answer is no. My reasoning still stands. The 1-3% shift that changes the election result — that's really not a consideration in my view. And now even though I didn't consider him fit (nor Clinton, we were choosing from two unfit candidates, neither of whom I could support) to be president, now that he's been elected my hope is that he will rise above the things that caused me to consider him unfit and will lead the country well. I have serious concerns. I'll speak up when I see problems. But for now I'm going to hope for the best. I'll add my voice to those who have commended all three candidates in this year's presidential election. I don't have anything negative to write about Crosby or Gaines. I even blogged in a recap of last years convention about the positive experience I had meeting and talking with Steve Gaines at last year's convention. I appreciate what I know of both of the other candidates. But as I try to picture a healthy SBC in 10 years, there's no doubt in my mind that J. D. Greear is the best choice to lead us in that direction. 12 years ago Jimmy Draper launched an initiative to engage and develop young leaders and pastors in the convention. That was a hugely encouraging step back in those days. I remember it as a time when many of us were disillusioned and felt disconnected from the convention itself. I was 24 years old and my first convention was Nashville in 2005. I went away from the pastor's conference wondering if I was even wanted in the SBC. We have come a long way in ten years. Jimmy Draper saw then, and we should see now, that developing, engaging, and recruiting young leaders is one of the keys to a healthy future. I say that as someone who's nearing, or maybe has already passed the young demographic. I need to be involved in helping engage those younger than me. Greear is the best option to engage young pastors in SBC life. He's led Summit to invest heavily in our cooperative work, with an emphasis in international missions. This along with church planting and theological training, are the elements that will continue to drive the renewed interest we're seeing among leaders. If we could have asked, back in 2005, what kind of young leaders we would like to develop and see take on leadership in the years ahead, you couldn't have painted a more compelling picture than the work Greear has done at Summit Church. He's been a helpful voice in convention life for a number of years now. He's refused to get involved in the Calvinism divisiveness. He's invested his own life in taking the gospel to the nations. He's modeled healthy cultural engagement, speaking graciously while standing firm on biblical principles. When you consider the SBC—not only in 2016, but also in 2026 and beyond—it's clear to me that Greear models where we should be going. And he's the best choice to lead on the journey to get there. I'm really glad to hear that C.B. Scott has been reinstated at Brewton Parker College. I wrote a couple of weeks ago about the injustice of his firing and the surrounding circumstances. I had some strong words for the trustees of Brewton Parker then as well. And it's because of the strong words I wrote then that I want to say an equally encouraging word of thankfulness today. I'm not sure of the details, but from the SBC Voices post, it sounds like the interim president, Dr. Charlie Bass did the right thing. I have to assume that some of the trustees who were not fully involved from the outset decided to become involved more directly. So the trustees, post-resignation of trustee chairman Gary Campbell, are to be highly commended. It takes a lot of courage to reverse course and right a wrong in a situation like this. May the next chapter of Brewton Parker College be characterized by the kind of integrity and leadership we've seen over the last couple of days. We're still waiting for an official press release from Brewton Parker College on Scott's reinstatement. I'm sure their Vice President of Communications is working on that as I type.